"Henkel began working with CTC Manufacturing in 2011, utilizing their services to apply overwraps on our Dial Complete bottles. Engaging CTC has enabled us to increase efficiency and drive bottom line cost savings for our organization. We have continued to expand our volume of work to CTC over the years with enhanced positive business results. 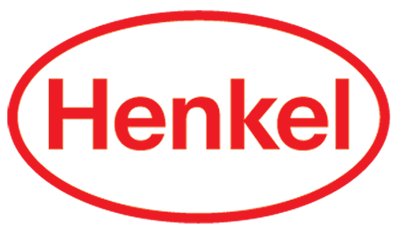 By working with CTC, Henkel is pleased to be part of providing increased opportunities for adults with disabilities in the Hazleton Area. The quality, performance and delivery on commitments has been outstanding. Thanks to our arrangement, both businesses have benefitted!" "We were looking for another supplier to help us with packaging our product and CTC Manufacturing's name came up. We went for a visit and were very happy with what we saw and started doing business with them. CTC Manufacturing went from just packaging our product to cutting and bundling fill material for us as well. Doing business with CTC Manufacturing has made it easier for the Weiler Corporation to be able to utilize our employees in other areas of the business. I personally have been to CTC Manufacturing several times and everyone was wonderful. We have a great working relationship. CTC Manufacturing does a fantastic job and takes pride in what they do for Weiler and that means so much to us. I would tell anyone that's considering working with CTC Manufacturing that they are a great team to work with and you won't be disappointed." "We began working with CTC over a decade ago. The initial hope was that they would be able to handle just our overflow work during peak season. Since that time, they have grown to be our main source of contract sewing. They have a tremendously skilled workforce that, at every corner, have met or exceeded our expectations. Everything we have given them, they have done exceptionally well. The have quality management, a responsive workforce and deliver a high quality product on time. What more could you ask for?!"